I've been looking forward to this interview for a while. John Lathrop is an ordained minister with the International Fellowship of Christian Assemblies, and has served with them for the last 20 years. He has ministered internationally, in Zimbabwe and Indonesia, and has also done quite a bit of writing, including a book called Apostles, Prophets, Evangelists, Pastors, and Teachers Then and Now. Every so often I get emails from introverted Pentecostals, which if we're honest, summons the word "oxymoron" pretty quickly, at least from a stereotypical point of view. I previewed this interview on the Facebook page of Introverts in the Church, and that was the first comment on the post. Pentecostals are known for their expressive worship style, the active involvement of both the body and the emotions in their praise. Introverts, who of course may feel very deeply, are usually not as overt and demonstrative about it, and I can imagine an introvert may feel like a fish out of water in such a setting. I've been to a couple of Pentecostal churches in my life, and it was indeed a culturally, and temperamentally, displacing experience. That's why I'm so eager for this conversation. Below is the entirety of my interview with John, and I would love to hear from more Pentecostals about the role of temperament in their churches. Adam: How does an introvert like yourself end up as a Pentecostal pastor? Have you encountered many others? 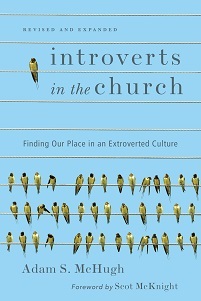 Would you say that extroverts are more attracted to Pentecostal churches than introverts? John: I grew up in a practicing Roman Catholic family. We went to church every Sunday and we did our best to abide by the rules of the church. When I was in college, one of my classmates was involved in a charismatic group that met at a local Catholic church. He invited me to go to one of their prayer meetings. My girlfriend (who is now my wife) and I began to attend some of these meetings. During the course of our spiritual journey we encountered the charismatic movement not only in the Catholic Church but also in the Episcopal Church and the Advent Christian denomination (it seemed to be everywhere!). In the early 1980’s my wife and I finally joined a classical Pentecostal denomination. I had an interest in ministry from a very young age and I liked the atmosphere of the Pentecostal church so at this time it was natural for me to go into Pentecostal ministry. My wife and I have been part of the Pentecostal Movement ever since. I have encountered a couple of other Pentecostal ministers that I would classify as introverts. I am sure that there are more but only a couple come immediately to mind. When people think of Pentecostals they typically think of people who are loud and demonstrative in worship, characteristics that we would typically ascribe to extroverts. While this may be the stereotype I do not think that it truly represents the Pentecostal church as a whole. While people who are extroverts may enjoy being with other people who are extroverts I think that there are a significant number of introverts who also enjoy Pentecostal worship. Adam: What is the best part of being an introverted Pentecostal? What are the gifts that you bring to your community as an introvert? John: One of the things that I like about being a Pentecostal is the freedom or openness to the idea that God can intervene at any time in many ways. He can speak to and touch His people as He sees fit, He can move in almost any part of the service and He can use anyone He chooses to. There could be a prophecy that greatly encourages the congregation as a whole or ministers to an individual in a much deeper way than we could ever imagine or hope for. I think that the gift that I bring to the church is that of teaching. Pentecostals have sometimes been labeled as those who have “full hearts but empty heads.” Sadly, there is some truth to this charge. There are people who have great zeal but little biblical knowledge. I am trying to change that. I think that all Christians, and in this case specifically Pentecostals, should be firmly rooted in Scripture. There is no contradiction between the Spirit and the Word. Adam: What is the hardest part of being an introverted Pentecostal, especially a Pentecostal pastor? John: I think that one of the more difficult things is dealing with people’s expectations that you should be an extrovert. This is particularly true with reference to expressions of worship. Pentecostals have sometimes criticized more traditional churches because of the formality of their services “Let us all stand, let us all kneel,” etc. The truth is that for all our talk of spontaneity and being open to the Spirit we, at times, have our own liturgy, “Everyone raise your hands, everyone shout Hallelujah.” As I stated earlier people respond to the Lord in different ways and I think that it is important to allow for that freedom of expression. I am fortunate that I am in a church that does not pressure me or anyone else to conform to doing specific things in worship. I have felt this pressure though in other places that I have visited. One of the things that is difficult about being a Pentecostal pastor is addressing some of the non-biblical teachings that from time to time emerge in Pentecostal circles. Trying to correct aberrant teaching can be difficult because people have often received these teachings from prominent preachers. Because these preachers have big, impressive ministries people who have accepted their teachings may sometimes be resistant to adopting a more biblical view when it is presented to them. Adam: What advice would you give for introverts currently preparing to lead in Pentecostal churches? John: I would say be aware of the fact that though you may be in the minority in your particular setting, there are other introverts in the Pentecostal church. You are not alone, so take comfort in that. I would also say try to be comfortable with who you are, God made you this way. The culture of the Pentecostal church may exert some pressure on you to conform, but do the best you can at being yourself. 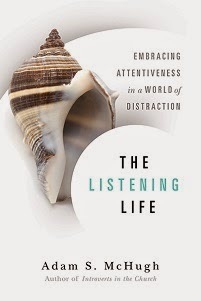 I think that reading Introverts in the Church can also be a great help to you (no, Adam did not ask me to say that!). The church is a body made up of many different members, be the person that you were created to be. God created introverts and placed them in the church, even in the Pentecostal church! Adam: Thanks John for sharing your insight and experiences with us!